I’m going to assume it’s either the pressure/vacuum switch or the high limit snap switch in your stove that’s not allowing the auger motor to work. 1. Make sure your exhaust vent pipe is clean all the way through. Combustion/Exhaust motor housing is clean as well. We offer vent cleaning kits and a high powered vent vacuum cleaning option. 2. Make sure the door seal and ash pan seal are tight all the way around. (Use a piece of paper, stick halfway in and shut door. Should have strong resistance when you pull out). Do around the main door and ash door. 3. High limit snap switch may have a red ‘reset’ button in the center of it. Push that in. If for whatever reason the stove got to hot it may have tripped the high limit. Located in the rear of the stove either by the back wall or auger shaft tube. Not all models had a resettable snap switch. Your owners manual will indicate which one and where for your year model. How did your fire look when the stove was running last? Was it a torchy, vibrant, clean looking fire or was it a lazy, dirty, sooty fire? Could also be the combustion fan no longer providing enough air. This would trip the pressure switch and not allow the auger motor to run. NEVER LEAVE SAFETY SWITCHES BYPASSED; FOR TROUBLESHOOTING ONLY. 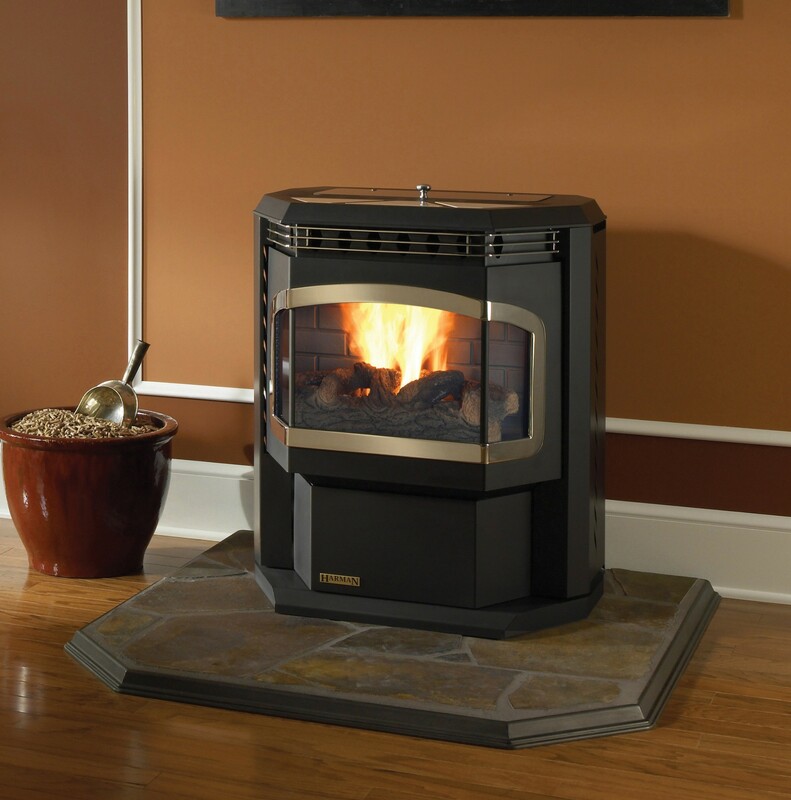 Contact Mr. Pellethead for expert advice on how to service, maintain and take care of your pellet stove. Stove is a kozi 100 going on 7 yr. old. Thanks for contacting us. If your stove is feeding continuously and/or not shutting itself off, we would be fairly certain that the issue is with the control/circuit board. Do you have a touch pad control board or a rotary (knob) style control board on the Kozi? Happy to assist. You can email me direct if you wish at [email protected]. We’ll get you taken care of. My St Croix pellet stove turns on and feeds the pellet and ignites. After the initial pellets are burnt off the stove doesnt feed anymore and shuts itself off. Any tips to this. Im guessing its a quick fix. ?? Thanks for contacting us. In most cases this would either be an issue with the Proof of Fire snap Disc (Most Likely), or the pressure/ vacuum switch. To troubleshoot you can bypass the switch/sensor by pulling off the two wire leads and using a short ‘jumper’ wire to connect the two wires together. Try the proof of fire switch first (On most St. Croix models this will be located on your exhaust fan housing.). Your owners manual will also indicate where the P.O.F. snap switch is. NEVER leave a switch bypassed, this is for troubleshooting only. Please email me direct at [email protected] and let me know what you find out and what part you need to replace. We’ll make sure to promptly take care of you. hi, 2006 st croix afton bay the auger turns sometimes with when i hit manual feed and sometimes i hear a humming noise and it doesn’t turn. nothing jammed the hopper is empty and cleaned out. called st croix they said it should turn every time you hit manual feed. bad motor? Thanks for contacting us, happy to assist. Yes, your auger/feed motor should turn every time you hold down the manual feed button. By what you are describing it would appear to be most likely that the issue is with the motor itself. My suggestion would be to do a ‘bench-test’ with the motor. Pull the motor out of the unit, take an old cord and put two connectors on the end that will adapt to your auger motor leads. Connect and plug into a wall outlet. Grab a pair of pliers and a rag. Grip the auger motor shaft with the rag over it. With a good grip there should be enough torque where you will not be able to stop the shaft from turning. If you can stop the auger motor shaft and/or if it’s running inconsistently when plugged direct into the wall then that would verify a new auger motor being needed. If the motor checks out good I suggest a further inspection and removal of the auger shaft itself. Let us know, we are happy to assist. We offer all St. Croix parts and guarantee the lowest prices and fastest shipping. hi thanks for reply. i took the motor and auger out last night. took gear box apart added more grease to gears and tested the motor. it did run BUT it was cold too. once the stove heats up the auger light comes on and i no longer hear the motor turn and pellets don’t drop. i touch the motor and it’s pretty darn hot too. sounds like a dead spot in the motor if i had to guess and when electric motors start to go bad they get dead spots and get hot. also, last year in march i had an object jam up my auger and i didn’t know until the stove went out. i am wondering if the motor did get a dead spot during that instance and it began to die after that. my new motor and gear box will arrive today i’ll put it in and let you know. btw the stove began to lose flame after 30 mins and shut off by 45 mins or so. that’s how this all started. flame was strong then just began to fade. cleaned entire stove, very well. cleaned out exhaust motor and underneath. cleaned out room fan all high pressure air from compressor. did the leaf blower clean. scraped inside the ash openings. vacuumed the entire stove. then i jumped all 3 switches one by one and still got same issue. then emptied the hopper completely and saw that i could not spin the auger when i hit the manaul feed button every single time. i’d day every 3rd press it would just make a humming noise and light would light up but auger did not move. if this auger isn’t spinning every time the auger gets power then i would lose flame and the motor worn, getting hot and or has a bad spot and once stove heats up the motor heats up and begins to fail. sorry a couple more things. when stove shuts off #3 blinks. also replace the board too with a new one and still no good cause st croix felt it was a bad board. update! auger motor was the problem. replaced it today it’s burning like brand new! Thanks for contacting us. If your stove doesn’t appear to be feeding the right amount of fuel when holding down the manual feed it would either be a weak motor issue or a control board issue. Not feeding on it’s own could be a vacuum issue or control board issue. If you are saying the lights on your control board are not coming on, then I would lean towards the direction of the issue being with the circuit board itself. If needed we can test the board for you. Let us know, we are happy to assist. You can reach us direct at [email protected]. Thanks for contacting us. This issue could be caused by a number of things; always important to start with the simplest items first. In 90% of the cases the issue described here would be related to cleaning – ash build up in the stove. Thoroughly inspect and clean your vent exhaust pipe, pull off your exhaust fan and clean the combustion manifold, open the ash traps to the lower left and right of the burn pot and clean thoroughly. Make sure the shaker underneath the firepot is pushed all the way in during operation. Remove the burn pot and shaker plate underneath making sure all the holes are clear and the ash is cleaned out of that area. Make sure the burn pot and shaker are seating properly once re-installed. Inspect the intake tube on the rear of the unit that goes to the underneath of the firepot – make sure there are no obstructions. Check the gasket seal around the door and the gasket seal around the ash pan. Use a piece of paper, stick half in/half out and close the door on it. Should be heavy resistance when pulling it out. Check multiple spots around the door. Inspect your pellet fuel. Make sure the pellets haven’t gotten wet or are ‘swelled’. Use a premium quality fuel – we recommend softwood fuels for best performance. Let’s start there before we start looking at the electrical and safety components in the stove. Please email us direct and send a thorough breakdown of what the stove is doing and what areas have been checked. We are happy to help. I’m having problem with no power to auger motor, when I hook up 110 directly it works I bypass vacuum & hi temp switch & still does not have power am I missing something???? I’ve clean out exhaust fan & lub bushing on auger shaft!!!! Thanks for contacting us. Ok, so you ruled out the auger motor and that works, good. When bypassing the Vac switch and high limit you connected the two lead wires together with a jumper or alligator clip correct? Make sure there was good connection between the bypass/jump. Other than that, double check the combustion/exhaust fan voltage; should be running very close to line voltage during start-up; 110-120V. If nothing changes it could be your control/circuit board causing the issue. If needed we do offer a service where we can do a diagnostics check on your board and functionality checklist. Let us know, we are happy to assist. You can reach us direct at [email protected]. St Croix afton bay pellet stove will not start, replaced control board, and replaced convection blower. When pushing the on off button, it does nothing. 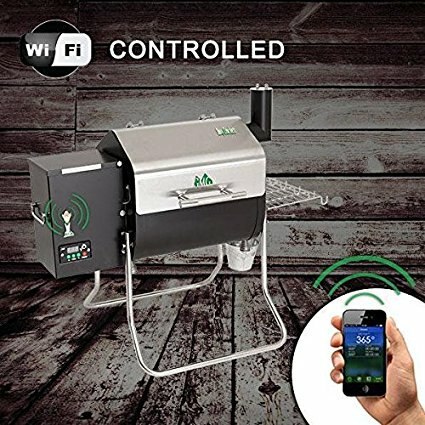 no lights, nothing…If I remove the lead from the convection blower, that hooks to the power block, the control board will tick..any suggestions? Thanks for contacting us. Very odd issue here; happy to see how we can assist. In my eyes it has to be something with the control board or with the power block itself. Inspect all wiring and use a voltage meter coming off the power block. See where power is coming in and where it is not. Also, important to check the simple things first and make sure the outlet itself has proper voltage and polarity. Let us know what you find, you can email us direct at [email protected]. My st croix stover will not auger at all. I have taken it apart and at first the motor worked but but back together and now back together does not work. so took apart and now will not work at all. Thanks for contacting us. There could be a number of reasons why the auger motor is not working in your stove. Could be the motor itself, Vacuum Switch, High Limit Switch, Gasket Seals, Plugged Exhaust, Plugged ash traps/exhaust manifold or the Exhaust/Combustion motor not working properly. Start with the easiest items first. Have you tried running direct power to your auger motor? Take an old cord, put two connectors on the end, connect to your auger motor leads and plug directly into the wall. This will let us know if the auger motor is good or bad. Let’s start there. Let us know what you find, we are happy to assist. Hi, I have a St Croix pellet stove that doesn’t auger by itself. The auger works when I flip the manual feed on, so I’m pretty sure it’s a sensor giving me problems. The model of this stove is unclear, all I find is “date of manufacture”. Dec. 1997. Any clues on where to start? Thanks for contacting us. I would start with the pressure vacuum switch. It could be a bad switch or it could be the switch is not locking in due to plugged exhaust, plugged ash traps, Leaky door or ash pan gasket seal or weak combustion/exhaust fan. To troubleshoot you can pull the two lead wires off the vacuum switch and connect the wires together using a jumper wire or alligator clips. DO NOT leave the switch bypassed, it’s only for testing/troubleshooting. Let us know what you find, we are happy to assist. Thanks for contacting us, happy to assist. The issue/s you are describing are related to an airflow issue. Could be a number of things including Gasket leakage, bottom ash cleanout slide not fully closing, unseen passage blockage (We recommend the use of a leafblower vac – http://pellethead.com/product/toro-vacuum-vent-cleaning-system-part-mar51574/), or a weak or worn out combustion exhaust fan. Start with that and unless a leaf blower extraction is done the blockage cannot be ruled out. Over 90% of these cases it is an ash blockage in the unit. Let us know what you find, we are happy to assist. i bought an auger motor and it didnt have a fan , the old motor has a fan…do i need the fan? Thanks for contacting us. The earlier motors had the rear plastic cooling fan. 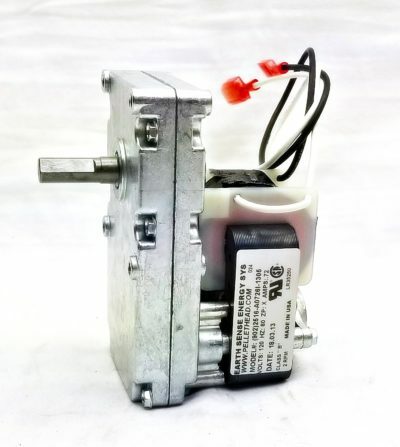 The new motors we offer are needle point ball bearing and operate cooler than the original motors not having or requiring the plastic cooling fan. Any further questions let us know, we are happy to assist. Our Afton Bay doesn’t seem to shut off with thermostat. turned temp down to 40 and still runs full speed at 1 rating. Was on Tstat. Older stove but new to me. Had it service checked OK by orig owner but don’t know what they did. Thanks for contacting us, happy to assist. I assume you have the digital LED board on your Afton Bay being you mentioned it was on Tstat mode. On Tstat mode the unit will not shut off. It goes down to a low fire and remains there until the thermostat calls for heat again. On Smartstat mode, the unit will go down to a low fire for a period of 60 minutes. If heat is not called for after that period of time, the unit will shut itself down and turn itself back on when the thermostat calls for heat. Let me know if that answers your question/concern. If you need any further info on the operation we are happy to send the correct documents your way. Thanks for contacting us. Happy to assist. On setting 4 and 5 is your flame still rapid and torchy or does it appear somewhat lazy with the firepot building up with fuel? If you have a nice crisp, torchy fire on settings 4 and 5 it could simply be a High Limit switch that is going weak/faulty. Especially with you mentioning all of the areas of the stove you have inspected and checked. If your flame is getting lazy and burnpot is filling up with fuel on settings 4 and 5 then we will want to take a closer look at what’s potentially causing that issue. I would start with inspecting the firepot, versa grate shaker plate underneath and making sure the versa grate is working properly and moving the shaker back and forth. Additionally lets make sure the shaker rod under the front door ash lip is pushed all the way in. If that is open even a slight amount the combustion air will lose the velocity that needs needs to be directed through the firepot. Please let us know, we are happy to help get this figured out with you and get your stove back up and running to 100%. i have a york model, the problem i’m having is that the lights on my control board aren’t coming on. I can manual feed the pellets but it won’t drop them by itself. is it a switch or the board? Thanks for contacting us, happy to assist. Typically I would say if there are no lights coming on the board there is a circuit board issue. Do you have a digital LED board or an early board with the rocker switches and turn knob? If you have the earlier rotary knob board it could potentially be either the POF low limit switch or vacuum switch if the unit is feeding when you press manual feed. Both switches can be bypassed for testing purposes only. Let us know we’re happy to help. Help. Can not get my corn stove to keep life. Have a nice flame then in an instant its out. Thanks for contacting us. I’m assuming you have a St. Croix corn stove correct? How long does it operate before it goes out? With St. Croix corn stove units they have an extended start up cycle. It’s important you build a really good fire so that it stays burning long enough to lock in the proof of fire on the unit. We recommend filling the the firepot half full of pellets or corn and then your firestarter on top. Light the fire, wait a couple minutes, then shut the door and turn the unit on. If it continues to go out we may have a vacuum issue or proof of fire issue. Let us know, we are happy to assist. Have an issue with my st croix stove lately. Sometimes it will start up just fine, have a thermostat connected to it and it is set on smart stat. Then the next time it starts up and kicks right back out and then red light flashes. If I push the on/off button it will reset and run fine till the next time. It does not kick out every time though. Sometimes it works fine and then it will kick out again after working one or two times. What could be the issue? This morning the red light was flashing again. Pushed the on/off button, fan kicked in for about 5seconds and kicked out, red light started flashing again. So bushed the on/off button again and fan kicked in and then I could hear the auger turn, this time it started up. Hope you can tell us what we need to do since it is finally getting cold out. See my previous response. I will also send you a direct email so we can assist you with the situation here and get your stove back to operating correctly. Thanks for contacting us, we are happy to assist. We always want to check the easiest things first. This issue could be related to your thermostat itself. Have you tried operating the unit on the manual setting or on t-stat? Any issues when operating on those settings? With what you are describing it sounds like an issue with the thermostat giving proper signal to the control board. Double check your thermostat connections and make sure they are secure. If you have a secondary standard wall thermostat try switching it out and see what happens. 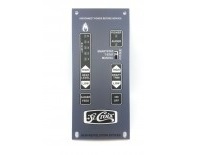 We do offer the St. Croix factory thermostat in case that is the issue and you need to replace. Keep us posted, we are happy to assist. The glass gets a black soot build up on it after about 2 days of running. Is there any adjustments in can make to avoid this black soot build up? Thanks for contacting us, happy to assist. Generally speaking if you are getting a black sooty build-up on your glass that is a direct indication that there is a fuel to air ratio problem. In 90% of the cases it would be related to a cleaning issue and ash plugged up in the stove somewhere. You also will want to check your gasket seals on the door and ash pan door if applicable. Use a dollar bill, place half in and half out, close the door and see how much resistance there is when you pull it out. Should be very tight. Check in multiple spots around the door. Also inspect your burn pot, versa grate shaker underneath the burnpot and exhaust motor itself to ensure it’s operating at correct voltage. You should have a crisp, torchy fire in the unit leaving a white/grey type of build-up on the glass. If you are always running the stove on the low #1 or #2 settings, it is much more prone to getting a black sooty build-up. If this is the case, crank the unit on high every once in a while for 15 minutes and it will help burn that off. Also, if you are using a glass cleaner to clean the glass, be sure to wipe off the residue with a wet paper towel once clean which will allow it to stay cleaner longer. Pellets as well can have a dramatic effect on glass build-up. If you are currently using a Hardwood try switching to a pine or fir pellet softwood; you will notice a big difference in glass cleanliness, heat output, ash build-up and firepot clinkers. Hope that helps, any other questions please let us know. We offer every replacement part for St. Croix stoves at the guaranteed lowest prices with the fastest shipping. We have a St. Croix element stove and the auger has become increasingly louder with squeak every so often. Have cleaned out the pellets and nothing seems wrong. Auger now appears to be frozen. Hey Gene, Happy to assist. Sounds like an issue with the auger motor itself. You can always clean out the hopper, remove the motor, and spin the auger shaft itself to see if it’s binding on anything, but more than likely it is the gears/bearings going out in the Auger motor. If you need a replacement motor let us know, we guarantee the best price anywhere with the fastest free shipping. Hello hope you can point me in the right direction. St Croix Hastings about 2008. When starting the stove it would power up but never light after about a minute it would shut down and sometimes after pushing the switch 5 or 6 times it would light and run fine. Finally that didn’t work, so I dug into it and found the exhaust motor wasn’t spinning up and the PoF switch was in two pieces. Replaced both parts did a deep cleaning fired it up. The room blower and exhaust both spin up. After about 60 secs the room blower shuts down. The pellets feed into the burn pot, it ignites and everything looks good. without the room blower the stove get very hot so shut it down. The control board looked pretty shabby so I replaced that same results. The room blower never spins back up after the initial sequence. Does the PoF switch have anything to do with the blower spinning up after ignition? Any thoughts would be greatly appreciated. Thanks for contacting us. We are happy to assist. The distribution blower is triggered on by a timing cycle in the circuit/control board in your model. Our tech says it is the pink wire, #3 in the molex connector to the board. The POF switch will not have any effect on this blower turning on. My suggestion would be to inspect the wiring closely and use a voltage meter on that #3 pink wire to see if power supply for the distribution fan is coming out of the circuit board. Being the blower turns on during the initial start-up sequence tells us that the blower itself is good. It appears to be an internal error in the circuit board by not turning on that blower after the start up cycle. St. Croix does have a 1 year warranty on their replacement parts; may need to get a different board in place there. Let us know, we are happy to assist anyway we can. Thanks for contacting us. My suggestion would be fully loosening the allen bolt on the set collar and then taking a rubber mallet and tapping on all sides of the auger motor. Use your hands and wiggle it side to side and it should come off. Let us know if you are able to get it. Happy to assist. We just purchased a house with a 2003 Pepin pellet stove. We have had a St Croix stove for many years at our old home. Never any real problems. The small Pepin is burning way too many pellets in 24 hrs on lowest setting. Where should we start? I have a St Croix Auburn. It has ran great for 7 yrs. Burned corn, cherry pits, and tons of wood pellets. For some reason my auger keeps getting jammed. I have taken it apart numerous times now. Can’t seem to find the problem. Thought it might be a weak auger motor so I purchased one from Earth Sense Energy. Super happy with the price and hour quick that I received it. Installed the new motor and after less then an hour it is jammed again… You can see it trying to turn. The set screw and motor still seem to be attached properly. Any ideas? Thanks for contacting us. If you have completely checked an cleaned the entire feed system along with installing a new motor, my thoughts would lead to the issue being with the auger shaft itself. Over time the flight on the auger shaft can wear down causing small gaps between the flight and the housing that surrounds it. This can cause fines and fuel to lodge in-between causing intermittent jams and stalls. We do offer the auger shaft should you decide to go that route. Let us know the exact year your Auburn was manufactured and we can get you a part number and price for the correct auger shaft weldment. Thanks for contacting us. By what you are describing this would be a vacuum switch error. After start-up the control board has to lock in the vacuum switch to go into normal operation. If there is an issue with vacuum the stove will shut itself down and the #2 light will blink. If you have made sure the unit is thoroughly cleaned, the exhaust pipe is thoroughly cleaned, door gasket is tight, ash pan gasket is tight, and exhaust motor appears to be operating correctly, then we want to take a look at the vacuum switch itself. Make sure the vacuum switch hose is in tact with no cracks or leaks. FOR TESTING ONLY you can bypass the vacuum switch to see if the switch itself is the issue. Pull the two wire leads off and use a short jumper wire or alligator clips to make connection between the two lead wires. This will complete the circuit and essentially bypass the switch. NEVER leave the switch bypassed, just for testing purposes. Let us know what you find. We do offer every St. Croix part at the guaranteed lowest prices. Thanks for contacting us. #2 light would indicate a vacuum error. Check the simplest things first. Make sure the firebox door is sealed tight, ash pan door is sealed tight and nothing is obstructing the vent. Take a look at the combustion/exhaust motor and make sure it’s running as it should be. Let us know what you find, happy to assist. My auger runs for one second then stops for 4 seconds then the cycle starts once again. It does a great job of heating this way but it used to run continously for about six seconds then stop for 6 seconds. Knowbody seems to be able to give me any suggestions. I enjoy all of your expertise. Thanks for contacting us, we are happy to assist. The Auger motor start and stop cycle is controlled by the circuit board on the unit based on the temperature setting the board is at and/or how the thermostat is calling for heat when set on Smart Stat or T-Stat operating modes. Typically on a low feed cycle/heat setting the auger motor will be on for 1 second and off for 4 or more seconds. On a high setting the auger motor will be on for 6 or so seconds and off for 2-6 seconds. Everything is controlled by the circuit board. Hope that helps, any further questions please let us know. Thanks SO MUCH. This is the first and only time I have been able to get an answer to this question. That clears everything up in my mind. My Stay Croix stove blink light on #2 does not start, if I by pass Vacuum Switch it does work, I replaced with new Vacuum Switch it did not solve problem, this issue started after I replaced gasket around door and fire box, I checked throughly looks ok, is there a still a air leak somewhere…Is there a way to check this. Thanks for contacting us, happy to help. I would recommend inspecting the exhaust motor housing, exhaust motor gasket seal and making sure the vent pipe is 100% free and clear. Also check the ash traps in the firebox. Ash blockage in the stove and/or vent will trip the vacuum switch. Once you’ve made sure everything is 100% cleaned out you could take a closer look at the exhaust motor itself and make sure it appears to be running at proper voltage. If the the motor is weak it will also not lock in vacuum. Let us know what you find, we are happy to help. i have a pellet stove the auger wont feed and the red light is flashing. Thanks for contacting us, happy to assist. What type of stove do you have? You can contact us direct at [email protected] and we can run you through some troubleshooting tips based on your stove model. i have a st croix lancaster pellet stove,problem is stove seems to burn fine on #1 setting ifyou go to the #2 or above burns for half hour or so and it stops feeding fuel and the #2 light is flashing, i can push the start button and it will start up again but does the same thing,i have cleaned and replaced the vacuum switch tested gaskets they seem tight also the top of the stove gets pretty hot dosent burn your hand but you cant keep it there for long. Thanks for contacting us, happy to assist. I just ran this past our lead technician, here are his notes. 2. flame quality recent change? 3. original comb fan? When last replaced? 5. smoke in the house? My initial thought here is a bad combustion fan motor. This scenario would be based on worn/dry bushings that are seizing. The increased RPM would cause more heat directly to the bushings. All it takes is one bad/dry bushing. I would guess that long enough operation on #1 would give the same result. If it was a cleaning/air restriction problem I would expect the opposite. In this case the lowest RPM would not be sufficient air flow to maintain a closed vac switch. i am burning wood pellets hamer hot ones, flame seems to be the same, it is the original fan, stove is about 5 pr 6 years old, no smoke in he house. iam using the corn burner pot it does get better air flow than the pellet pot, i just tried the corn pot 2 weeks ago, it did the same thing with the pellet pot. Thanks for contacting us. We are happy to assist. There is a low limit switch on your exhaust fan that shuts that motor down once cool. To troubleshoot I would suggest firing up the stove, then allowing it to shut down, after 20 minutes or so once cool pull off one of the wires that goes to that low limit switch and see if the motor shuts down. If it does, it’s a switch issue. If it does not it could be something related to the circuit board. Keep us posted, we are happy to help. 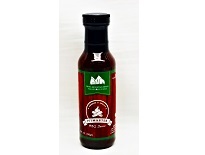 We do offer every part for St Croix at the guaranteed lowest prices and fastest shipping. After cleaning my st. Croix Prescott stove thoroughly, it won’t ignite. The blower comes on and the auger feeds properly but after ten minutes the stove never lit and shuts off leaving the #3 light blinking. I open the door when this happens and the entire inside is cold. Once I clean the pellets out that have dropped, the burn plate is also cold, the time prior to it stopping it lit fine and I cleaned it as I normally would then it started doing this out of nowhere. I hope you can guide me to what could be wrong. Thank you. Thanks for contacting us, happy to assist. I think the first place you need to start is checking the ohms on the igniter. It will be important to determine if the igniter itself is good or bad. You can email us direct at [email protected] or toll free at 800-236-6647. We are happy to provide you what the ohm range should be on the igniter and should you need a replacement igniter we do guarantee the best price and fastest shipping. We have a St. Croix Auburn corn/pellet burner as we purchased it a couple of years ago. Just replaced both fans and got it all cleaned up for this coming cold season. When lighting, the blower fan surges at times or runs wide open. We have 5 fan settings and it seems to want to run wide open all the time and won’t adjust to any lower settings. Any suggestions? Fan speed is controlled by the circuit board. When you adjust fan speed 1-5, the board is adjusting how much line voltage that blower is receiving. As you increase voltage, the fan increases speed. You are likely looking at replacing a control board here. One way to test is by isolating the blower itself. Supply power from the outlet directly to the blower and it should run (on high) without surging up and down. This would tell you if the blower is failing or the controller. I have an older st croix aften bay stove. Replaced the exhaust fan it was a 3 wire replaced with a 2 wire. Turned on stove exhaust fan runs great all other motors do not have power. Thanks for contacting us. Very sorry for the delay as there was a glitch in our system on receiving the blog messages here. If you have an earlier St Croix model with the 3-wire combustion fan and are replacing it with the new 2 wire combustion fan, a pigtail splitter is required for proper operation. The New Style OEM St Croix Exhaust Fan along with our aftermarket will include this pigtail splitter wire for proper installation in earlier units. If you are still having difficulty or need further assistance, please let us know. hello , I have an ashton bay pellet stove ,after stopping the stove to clean ,and restarting burn pot filled up and smoke appeared but the exhaust fan did not start.i jumped the proof of fire , and then high limit switch ,the fan did not come on ,tried changing control board ,no luck .then i plugged all wires back where they go and tried again , then the stove started properly for some reason .the next day cleaned the stove again ,the same problem occured .the exaust /combustion fan has not started since . The first thing that needs to happen when the stove is calling for heat or “on” is manually pressed on the control board is that the exhaust, combustion fan starts and ramps up to max RPM. The combustion fan gets full line voltage directly from the board. With out this your stove can not and should not feed pellets. With St. Croix stoves using a digital control board it will then power both fans for approximately 10 seconds as part of a self check. Once completed, the room fan will turn off while the combustion fan stays running. At this point the vacuum switch should close confirming all is well and the auger will begin to feed pellets. If this sequence does not happen we need to work backwards to figure it out. First start with the combustion fan. Does it get voltage? If it does not, or not enough voltage (115v), this would suggest a board issue or even improper voltage at the outlet where the appliance is plugged in. Be sure to check both. If proper voltage is present and combustion fan is still not running, it may be defective. With the power unplugged, you may try spinning the fan to see if it is tight. This would suggest a bearing issue and would need replacement. Very sorry for the delayed response here. There was a glitch not allowing us to see the blog messages here come through. Were you able to figure out how to properly set up the new digital board for your Prescott model? Happy to assist and send further instructions if needed. I have a st. Croix Auburn corn stove, we have been using wood pellets instead. We have used it about 3 times (bought from previous owner). Everything has been going well, but today our auger will not turn. You can hear it try to go, but it won’t budge. I have cleaned out the stove and hopper and ensured that there is no debris stuck within. It still will not turn over. You were right to first try and locate a jam/blockage. First step is to clean out the hopper and check the auger. Many times jams can be cleared easily this way. If you can here the motor trying to work then it is likely getting power. Your next step would be to isolate the auger feed motor by removing it and have it tested or perform the “bench test” yourself away from the stove. The auger motor is likely failing. Sometimes they may turn until a load is applied. You can check the torque by holding onto the shaft with a channel locks. If you can stop the rotation you will need to replace the feed motor. It could be that your low limit switch is failing or even just dirty. The switch is generally located near or on the exhaust housing. After a fire has started, the exhaust temperature will rise and when it reaches a high enough temperature, the low limit snap disc will close continuing the feed cycle. Most low limit switches are marked and between 110 degrees and 140 degrees. If the switch does not close in a set amount time, your stove may fault out until you retry. hi my question is that I have a st.croix York insert , it comes on and lights then some time it takes about 20-30 minutes for the blower fan to come on and blow out air, it works most of the time but sometimes it take the above minutes to come on. Thanks for contacting us. Sincere apologies for the delay, there was a glitch not allowing us to see the pending blog messages here. Are you still having troubles with your York Insert? Depending on the age of your unit and type of control board it could be a couple things. The most common in this situation would be a snap switch/limit switch issue, especially if you have the original rotary dial rocker switch control board. Over time limit switches can become weak not allowing proper function. The low limit switch controlling the room air blower is a normally open snap switch and will close once the unit reaches proper temp allowing the blower to turn on. Operating your unit at a higher setting during start-up should allow that snap switch to lock in sooner. If you are still having difficulties or need further assistance, please let us know. I have a St Croix Hastings with the #5 light blinking ,any ideas. The #5 light blinking indicates there is an issue with the photo eye or the jumper wire for the photo eye if the photo eye is not used. I would check over the connections and reset your stove. If the light persists, you may need to replace the photo eye sensor as it may be defective. I’m not sure what stove this is for but generally speaking if you have power to the control board and fuses are good, you may be looking at a new control board. Now this is assuming everything else is in order. If you are using a thermostat, make sure the connections are secure at the wall switch and stove. You may also try bypassing the t-stat and run a jumper in place of it before condemning the board. Keep in mind, circuit boards returns are not allowed so if you are unsure, you may want to have a certified technician out to diagnose the stove first. #2 light flashing is a vacuum error. This error could be do to a failing switch but often times a dirty stove, plugged vent, plugged vent end screen, leaky door gasket, even a failing combustion blower. Typically we like to rule out cleaning issues prior to replacing parts. You mentioned the stove is cleaned well- In my experience the ash traps inside the firebox are often overlooked. Thanks for contacting us, very sorry for our delay as there was a glitch not allowing us to see the pending blog messages here. Based on what you are describing, to me it sounds like a circuit board issue. When the auger motor wires melted it more than likely created a short circuit to the control board. If it was just your exhaust fan continuing to run I would say that we would want to inspect the Exhaust Fan Shut down snap switch, however being the fact when you plug the unit back in that pellets start dropping in automatically, tells me that more than likely it is a circuit board issue. If you have the original rotary style turn knob control board, there is now a retrofit digital control board kit for the York Insert model. Here is a link to that if you need to take a look. 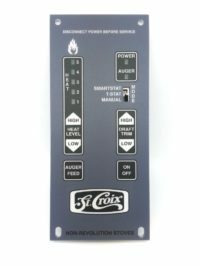 https://pellethead.com/product/st-croix-york-insert-retrofit-series-ii-control-circuit-board/. If you currently have a digital control board, this would be the correct replacement https://pellethead.com/product/st-croix-digital-circuit-control-board/. If you have any other questions or need assistance, please let us know. There are too many pellets being fed into the burning pot and it’s over flowing. How do I slow down the rate of the pellets being fed into the flame? It is likely a dirty stove issue here. Stoves typically do not overfeed pellets but rather the lack of air flow keeps the stove from keeping up to the rate of burn. Check the burn pot holes, shaker plate, ash traps, and venting. All of these if plugged will reduce the amount of combustion air into the firepot thus making the stove appear to be feeding too much. The number 2 light flashing does not really coincide with the burn pot filling with pellets. Number 2 lights generally indicates a vacuum error. If this is the case the stove will likely not feed pellets. I would retrace your steps. When you power on the stove, your new combustion fan kicks in and ramps up creating vacuum. Once enough vacuum is present, this switch will close and allow the feed motor to auger pellets. If the pot overfills with pellets it may just be an ignition issue. Check to make sure your igniter is getting hot. Assuming the run time of the your stove is equal and the heat setting is always set at 2, the auger cycle time should still be the same. Here is what changes, the use of a thermostat will change how long a stove runs for or how many start up cycles your stove has per day. Pellets- Length of pellets plays a key factor. If you have changed brand or the manufacturer has changed something in their formula, the amount of fuel per feed cycle will change. Many stoves offer “fine tune” adjustments because of this very reason. If your pellets are shorter in length, you may tend to see more pellets drop per cycle and see a larger flame on lower settings. Likewise, longer pellets will auger more slowly and may cause an individual to raise their feed rate to compensate. Help….. We have a Auburn. The pellets seem to be dropping behind the Fire box and the pellets are dropping down too often and not burning completely. I notice fire in the ash box and I was dealthy afraid fire would go into the hopper. I turned it off anf shut the damper. When I went down to check on it every 30 mins it was fine for 2 hrs. Then it was blowing cold air. Help….Also is the (rake) supposed to be in the fire box. We bought this off a coworker and they didnt Have the manual.. Thanks for contacting us, very sorry for our delay as there were glitches not allowing us to see the pending blog messages here. Based on what you are describing, the first thing I would say is that the unit needs a full overhaul cleaning. To me it sounds like the unit is starving for air causing the issues you are having. Firebox ash traps, Exhaust Manifold, and vent piping should all be checked and thoroughly cleaned. You’ll also want to check the gasket seals around your door and ash pan to make sure they are sealing tightly all the way around. The Auburn Firepot has the coal rake in the center connected to the rod that comes out front and the bottom burnpot drop with the rod that comes out below the coal rake rod. In normal operation the coal rake rod is pulled completely out. As a clinker/build-up begins to form, the design is to push the coal rake in, allow a fire to start burning on top and then release the bottom burnpot drop to dump the clinker into the ashpan. Push the bottom burnpot slide back in, and then pull the coal rake back out allowing you to keep continuous burn without having to shut the stove down to remove the clinker. 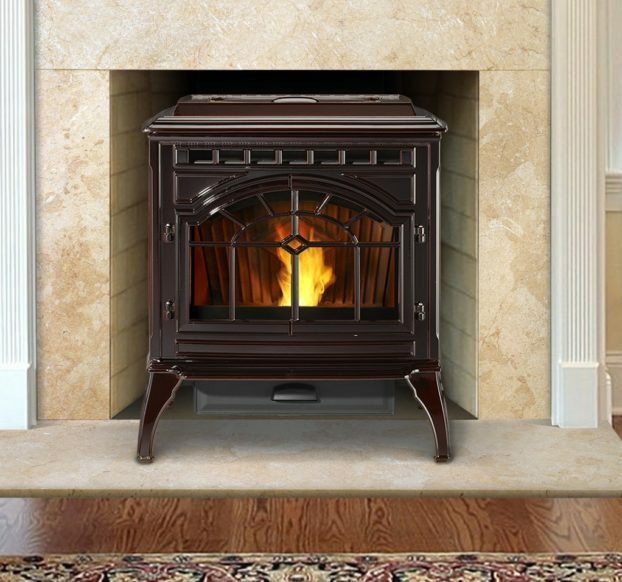 It’s very important that you have the installation and operations manual for the stove for both safety and the knowledge on how to properly operate and clean the unit. If you need an owners manual or any further assistance, please let us know. 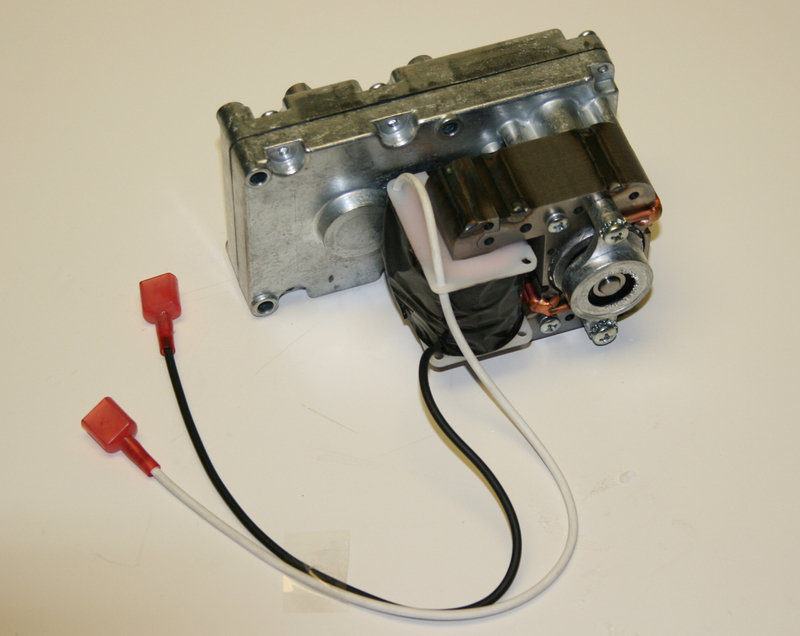 We do also stock all parts for the Auburn model and are happy to assist and make sure everything is running 100%. My st. Croix Hastings model burns great. The ash is fine, it’s hot, no issues there. The problem is I normally leave it on the second setting, but I am burning through more pellets than I normally use. A bag used to last me close to 20 hours but now it’s more like 18 or 17. I time the space between each time the auger drops pellets and it’s about 11.5 seconds while on setting 2, and the length of time is 2.5 seconds. Is this normal, or is it possible the pellet bags have less pellets than in the past? We have a St. Croix Afton Bay and our exhaust fan stopped working. We took it out and thoroughly cleaned it, put it back in but whenever the stove runs out of pellets and shuts down, the fan won’t start again unless we pull it out and clean it. How come it’s getting so mucked up? It sounds to me like your exhaust/combustion blower is stalling out. If you have to spin the fan blade, or in your case remove it and clean it to get it to start, its time to replace it. I would check for feed obstruction. This could be anything non pellet at the bottom of the hopper where the slide plate is located. Excessive sawdust, plastic bag, etc… Listen for the “trickle” of pellets during every feed cycle. This is native to the Harman pellet feeder system. Every time the feeder are lifts up, you should be able to hear the sound of pellets trickling down from the hopper to the auger. If you do not, there is likely a feed system obstruction and would require a closer look. If you have a multi meter you can check Ohms on the igniter. This igniter should read roughly 54-58 Ohms letting you know you have a good strong igniter. Next, I would check voltage to the igniter. If you do not see smoke, or even a glow from the igniter itself, that tells me it is not getting power. This could be from a loose connection or even a control board that is no longer sending power to the igniter. If this is the case, then a new control board will be needed. My st croix prescott-ex pellet stove drops pellets but after about 30 minutes the fire burns out. After the fire burns out and I cannot relight the stove. Thanks for contacting us, very sorry for the delay as there were glitches not allowing us to see the pending blog messages here. This will depend on the age and type of control board your Prescott model has. Being you mentioned that it is an EX model, tells me that it is an earlier unit with the rotary knob rocker switch control board. There is a proof of fire switch that has to lock in after start-up in addition to the vacuum switch locking in so it can go into normal operating mode after start-up. If your unit has a digital control board it will be slightly different on the start up procedure. Check the simple things first by making sure the door and ash pan gasket seal is tight all the way around. To me this sounds more like a vacuum switch issue more than anything else. If there are any firebox area air leaks or the obstructions in the exhaust manifold or vent piping it will cause that vacuum switch to trip and shut down the fuel feed. Additionally it could be the high limit switch in the stove, especially with you saying it will not relight. The high limit switch in most Prescott models will have a reset button in the center. Again, check all the simple things first and if you are still having troubles or difficulties please let us know. We do stock all parts for the St Croix line of stoves and are happy to help get everything operating back to 100%. Hi there, I have a St Croix. The auger will not rotate. We’ve made sure there weren’t any obstructions, we’ve replaced the motor, we’ve put in a new control board and we’ve put in a new high temp switch. We are stumped as to what it could be. Help! Thank you! If you need any further assistance please let us know. We stock all St Croix parts and are happy to assist to make sure your unit is running 100%. I have a St. Croix York insert. It was professionally cleaned last week. It was cold enough to use so I turned it on. It burns a low flame only and sets off no error code. It burned about half a hopper of pellets this way. What could be the problem? Hi! Sounds like a jumper/thermostat connection issue. If using a thermostat, remove the wiring at the back of the stove and replace with a small jumper wire (to complete the circuit). Try running the stove manual and adjust heat output. If you need more help please reach out to us, we’re always happy to help! If you have any further questions please let us know, we are always happy to assist. I have a St Croix Hastings Stove. I turned the stove on for the first time this season today and the blower fan came on then the power light came on. After 2 minutes the stove turned off and the 4th diagnostic light came on. When I did the stove pre season maint i cleaned the exhaust fan and changed the seal for the fan. Any ideas why it will not work? Thanks for contacting us, apologies on the delay. The number 4 diagnostic light for the Hastings will indicate an issue with the high limit switch and/or convection room air blower. Most Hastings models have a high limit switch with a manual reset button in the center. Let’s check that first. Make sure the stove is unplugged and push the center button on the high limit. High limit switch should be located on the back firewall near the convection room air blower. Re-plug in your stove and see what happens. If it is the high limit we want to take a close look at why it tripped. It could be the high limit itself getting weak or it could be an issue with the convection fan not operating as it should. Let us know what you find, we are happy to assist and get you back up and running 100%. Ok, I did what you said to do. Same outcome. The Convection Fan is blowing but i get the same diagnostic lights. There is a plastic tube connecting to the sensor, would that effect this problem? Happy to provide further support here. Have you checked the high limit switch? It is a round disc about 1″ in diameter that should have a reset button in the center. Typically located near the Convection fan or outer auger shoot. This is a 250 degree normally closed switch. The plastic tube you are referring to goes to the vacuum pressure switch. The vacuum switch can also shut down the unit if the switch is faulty or proper pressure is not sensed during the start-up sequence in your model. Yes, make sure that tubing is secured and has no leaks or cracks. Both of these safety switches can be bypassed FOR TESTING PURPOSES ONLY to help troubleshoot, Link below will show you how to do that. Additionally, always check the simple things first. Make sure that the unit and venting is thoroughly cleaned. Make sure the front door and ash pan door gasket seals are tight all the way around. Make sure your exhaust fan/combustion blower appears to be operating at near line voltage during start-up. Keep us posted, we are happy to help in getting your stove back up to 100%. Hi I have a 2005 auburn I have been burning corn the auger will not turn I took the motor off and cannot get the auger out it has up and down side to side play it will not pull out I can not find any other set bolts any suggestions ? Thanks for contacting us. Once you have the auger motor out and the the auger mount plate removed and the auger shaft is exposed, the auger shaft should pull out. Sounds like something is really jammed in there. I would suggest making sure all of the pellets/corn are removed from the hopper and have a person using a vacuum cleaner inside the hopper while you try pulling the auger shaft out. Use a Channel Locks or Vise Grip and try to rotate the auger shaft in a 360 degree motion gently pulling simultaneously. See if you can’t break it free that way. Any other questions or parts needed please let us know. I have an older York pellet stove insert (no diagnostic lights on this model) . I recently replace my POF switch and it now runs and feeds like it should. But now, when I turn off the stove, everything shuts down all at once. It used to run a fan until it was cool enough then shut off. Any suggestions? Thanks you. Thanks for contacting us, happy to assist. In the early York with the rotary style control board there are 4 limit switches – POF, Convection Fan Low Limit, High Limit, and High Fan Override. The only switch that controls the shut down of the stove once cool is the POF switch. If your combustion fan is immediately shutting off when you turn the stove to off, we need to go back and check that POF switch. I would suggest you bypass the POF Switch FOR TESTING PURPOSES ONLY. See if the unit then allows the combustion fan to continue to run after you shut the unit off. If it does not and your convection blower is shutting off right away as well, I would be 99% certain we have a control board issue. Please keep us posted, hopefully this is helpful. Certainly our pleasure Jim. Let us know if you have any future questions or needs. I have a 2000 St Croix Prescott stove that the convection fan will not run. Pellets feed fine and light. the combustion fan seems to work okay. Is the convection fan faulty? We do stock all parts for St Croix and guarantee the lowest prices should you need anything. Happy to get you back up and running 100%. Thanks for contacting us. The #5 blinking diagnostic light on the St Croix Afton Bay control board would indicate an issue with the 3 wire jumper located on the rear of the control/circuit board. 1. Board is not properly set for the model. Unplug the stove allowing it to reset and then reprogram the board based on your model. Your owners manual or new board instructional sheet will show you how to do this. 2. Issue with the 3 wire jumper. Unplug the stove, remove the control board, and inspect that jumper and how it is secured. If you need any further assistance please let us know, we are happy to assist. If you do require a new circuit board you can click the link below. We offer all St Croix parts and guarantee the best pricing and fastest shipping. Thanks for contacting us. Yes, on high (level 5) the Greenfield is about 4.5 – 5 lbs an hour, so it does seem like it’s operating on high based on your fuel consumption although you have it set on the low number 1 setting. I would suggest resetting the control board by unplugging the stove for 30 seconds and then re-plugging back in. See if it just needs a reset. If you are running on the manual toggle mode and it continues to feed and operate at a 5 setting when you have it set to a low number 1 setting, it more than likely will be an issue with the control board itself. Check the simple things first, if you do happen to need a new board the link is below. We do guarantee the best price and fastest shipping on all St Croix Parts. Also, always make sure your stove is plugged into a surge protector. Fall and Spring are notorious for voltage spikes and storms that can cause damage to a control board if it’s not protected. Thanks for contacting us, happy to assist. Check the very basics first – Make sure the wall outlet the stove is plugged into is working with another electric appliance. Secondly, if you are running on smartstat or T-Stat mode you will want to check your thermostat and thermostat wire connections. For testing purposes I would suggest you put the toggle on the manual mode. Allow the stove to reset by leaving unplugged for 30 seconds and plugging back in. If all that is checked and the control board won’t turn on at all, remove the control board and check the fuse on the backside and replace. If from there it still does not work, it’s probably the control board itself. Thanks for contacting us. The #5 blinking diagnostic light on the St Croix Prescott control board would indicate an issue with the 3 wire jumper located on the rear of the control/circuit board. I have a St Croix Auburn stove and the corn will not burn hot. It burns but as the hopper feeds it only begins to smoke more as the burn pot fills up and eventually the fire goes out. Cleaned everything well and there is air moving. Any suggestions would be greatly appreciated. Not sure if the gaskets would make that much difference or if there may be something else going on. Good Morning Monique, Happy to assist. The first thing I would suggest you look into would be the fuel/corn itself. There can be quite a variance with corn and the moisture content it has. General rule of thumb is that the corn needs to be less than 15% moisture content for it to burn correctly. The lower the moisture content the better the burn and the hotter the fire. If your corn has a higher moisture content it will give you issues as you are currently seeing. If you have a bag of pellets around I would suggest you try switching out your fuel first to determine if this is a fuel related issue or not. Gaskets do play a huge factor with the stove and having proper combustion to burn correctly and efficiently. You can check your door and ash pan door gaskets by doing a ‘dollar bill test’. When the stove is off and cold, take a dollar bill and place it half inside the door and half out. Close the door and pull on the dollar bill. There should be heavy resistance when pulling the dollar bill out. Check this in multiple spots all around both doors. Generally speaking, gaskets in those two areas should be replaced every 4-6 seasons of use for optimal efficiency. I know you mentioned you cleaned everything well. Ash build-up in the stove and/or vent is the number 1 contributor to issues such as this. Double check all ash traps in the stove, exhaust flue passageway, and the venting. Ash can get trapped in that back wall area as well causing restriction of air flow. You can use a rubber mallet to tap on that back firewall which helps release that ash down to the traps on the left and right side of the burnpot. One of our best cleaning tools is using a leafblower/vac on the vent outside. This greatly helps pull out ash in areas of the stove that are difficult to access (Link below to take a closer look). Lastly, inspect your burnpot – make sure all holes are open and it is clean. Make sure the bottom slide looks good and is fully pushing in. It also can’t hurt to take a look at your exhaust/combustion fan to make sure it appears to be running correctly and at proper voltage. Let us know what you find. We do offer all parts for the Auburn model and guarantee the best prices with the fastest shipping. I replaced the gaskets and still the fire goes out. I have cleaned every nook and cranny in the stove and am wondering how I could check the moisture content of the corn. Seller said it was less than 15%…what will wet corn act like in the stove? Ours seems to crack and pop as it is fed through the auger system and into the fire pot. Good morning Monique. Glad you checked the gasket seals and have given a thorough cleaning. It’s a fairly scientific method in determining the moisture content of the corn from my understanding. You can do some general searches online or possibly take a sample to a local co-op to see if they can analyze. When corn is high in moisture content it has a difficult time burning, creates an inefficient burn, more smoke production, and generally the fire will continually snuff out. I think the easiest way to check to see if the fuel is the issue here is to try a different type of fuel. Either a different batch of corn or to grab a bag of premium grade pellets from somewhere local. We want to rule out whether this is a fuel issue or another issue going on within the stove. Keep us posted, we are happy to help. Thanks for contacting us, we are happy to help. If the number 2 and number 3 lights are blinking together, that indicates a high limit switch shutdown. The high limit switch in most stoves is located on the back firewall on the combustion blower side of the stove. The high limit switch in the St Croix has a manual reset – button in the middle will need to be pushed in. Generally a high limit can trip for a number of reasons. 2. Room air Blower/Convection Fan Failure – If there is an issue with the convection fan coming on to disperse heat into the room, the stove will get too hot and trip the high limit. 3. Defective high limit switch. Try doing a manual reset on the high limit switch by pushing in the center button first. Make sure the stove and vent is cleaned well. As far as your stove not lighting, you will want to take a look at your igniter element. If you have a multi-meter check the ohms. Optimal Ohm Range on the St. Croix Igniter needs to be between 54-63 ohms. Hope that helps, any other questions please let us know. St. Croix, Afton Bay, man. Date of 2002. Cleaned weekly. Gets too hot and shuts down auger, once it cools it will start back up dropping pellets. Damper is almost completely closed. Convection fan also shuts down with auger. Burning a lot of pellets, Extremely warm in house 80°+. Large clinkers. I’m assuming too much air but from where? What are we missing? Thanks for contacting us, happy to assist. I don’t believe this to be an issue from too much air. – How does the fire look? Should be crisp and torchy at all heat levels. If the flame is large/sooty/lazy we have an issue with lost combustion air. You’ll want to check the exhaust motor, burn grate, ash build up in stove and vent and gasket seals. – If the stove get’s too hot it will trip the High Limit Switch and shut down the Auger Motor. This is the only thing it should shut down, should not be shutting down the convection blower. 1. Really go through an in depth cleaning of the unit and vent. 2. Switch pellets to ensure it’s not a fuel issue. Some short pellets can feed twice as fast as normal length. Premium Softwood pellets will give less ash and less clinkers with higher heat output. 3. Check your convection blower. Make sure it’s running at correct voltage. If this motor is getting weak it could definitely be contributing to the high limit tripping. 4. Again, make sure your fire is crisp and torchy on all heat levels. 5. Check the various heat settings. You should see a major difference from setting 1-5. If the stove is feeding high rates of fuel on every setting and there doesn’t seem to be a change in the on/off cycle of the auger, this could be a control board issue. Let us know what you find, we are happy to assist. We offer all parts for the Afton Bay and guarantee the best prices. So I’m stumped. I have a St Croix Ashby-P insert. It’s been thoroughly cleaned, but the last time it ran, it smelled unusually hot. We shut it down and checked it out the next day after another thorough cleaning. Now when we turn it on, the fan will run as usual, it will begin the startup process, but immediately go into shutdown with the #2 light blinking. No pellets are getting dropped, it won’t even try to ignite. The versa grate motor gets warm, but sounds especially scratchy (it’s always had a little buzzy/scratchy noise, but the tech said that was pretty normal for this model). Thanks for contacting us, happy to assist. The #2 blinking light will indicate a vacuum switch shut down error. The most common cases for this error would be if there is significant ash build-up/blockage in the stove and/or vent. The second would be if the front firebox door was open or if the gasket wasn’t sealing tightly all the way around. It sounds like you have been doing the thorough maintenance, but I would suggest double checking that door gasket as well (Use a dollar bill, place half in and half out of the door, close the door, and pull on the dollar bill. Check in multiple spots around the door – should be heavy resistance when pulling it out. Make sure the stove is off and cool when doing this.) Thirdly, you will want to inspect your combustion blower. If the combustion blower is not operating correctly or at proper voltage it will not lock in that vacuum switch and will cause the stove to go into a shut down. Visually inspect that combustion blower. If you are somewhat electrical minded you can check the voltage with a multi-meter. It should be running near line voltage during the start-up cycle. (105-118 Volts). With you mentioning the smell, it tells me that either the combustion blower or room air blower is not running/operating as it should be. Versa Grate Motor will get warm, sometimes even hot to the touch which is normal. St Croix has had several designs for these motors over the years. It is common/normal for them to have a slightly buzzy/scratchy sound. I will note that their latest design for this motor is the quietest that we have heard to date. The Versa Grate motor however will have nothing to do with the issue that you are currently experiencing. Hope that is helpful. If you have any further questions please let us know. We do offer every part for St Croix and guarantee the lowest prices should you need anything now or down the road. When turning on the corn stove (St. Croix) the motor and fan are extremely loud. What might be the issue. Please help. Thanks for contacting us, happy to help. Most St Croix corn stove models the combustion blower motor is the only fan that is going to come on when you initially turn on the unit. The Convection Blower/room air fan kicks in once the unit is hot enough on most models. If the combustion blower is really loud when you turn it on, it’s most likely an issue with the motor itself and would need replacement. First thing we would suggest is doing a real thorough cleaning of the unit and that blower. If it’s still making a loud noise after thorough maintenance has been completed, then the motor is probably on it’s last leg. Any other questions please let us know. St Croix Auburn Corn stove will not run for more than 30 seconds. #2 light is flashing. I bypassed the vacuum sensor but it still would only run for 30 seconds. Exhaust fan is working. Thanks for contacting us. Yes, the #2 light will indicate a vacuum error. It may not necessarily be an issue with the switch itself. Vacuum is checking pressure both in the firebox and exhaust. Additionally on newer models it is also checking pressure inside the hopper. It’s good that you have verified the exhaust fan is working correctly. Check the simple things first. 1. Do a complete thorough cleaning on the unit. Ash blockage in the stove or vent pipe is the #1 cause for this issue. 2. Check your door and ash pan door gasket seals. Ensure they are making a tight seal all the way around. Let us know what you find, we are happy to assist. Wouldn’t bypassing the vacuum switch (by shorting the two wires together) prevent this error even if it is a blockage or air leak issue? In theory it should, I just thought it would be good to double check those areas. From there the only other thing to look at would be a circuit board issue. Make sure it’s a 2 blink and not a 3 blink. If it’s a 3 blink it would be a proof of fire issue. After seeing if it would work with all switches jumped I did a continuity test of all of the wires. It looks like it is definitely a control board issue. Thank you for your time! Thanks Steven, glad you got to the root of the issue here. If you do need a new control board, link is below. We offer all parts and accessories for St Croix at the guaranteed lowest prices. replaced convection fan on my st croix afton bay.on start up the fan comes on then shuts off as it should.then when internal temp reaches the point the blower wont turn on.i’m stumped. I have a St Croix Ashby. When I turn the stove on, the unit goes through it’s normal power up cycle. After the power up diag is finished, the power light flashes and pellets start feeding at a pretty fast rate, about every 2-3 seconds. I’ve gone through all 4 programs and all behave the same. Pellets feed every 2-3 seconds. I did a vacuum test by leaving the door open and the #2 light came on, but pellets continued to feed at the fast rate. After resetting the unit, setting to program 3, and starting it up, the unit will run. But with pellets feeding at he fast rate, the unit gets extremely hot. The unit is meticulously cleaned every week. I am certain that all ash has been removed. All gaskets are in great shape and seal up as they should. What should I check next? Thanks in advance for any/all advice. Thanks for contacting us, happy to assist. Very odd.. For the pellets to continue to feed after you leave the door open and the #2 light is on gives a direct indication that there is something going on with the control board. I know during initial start-up it’s normal for the unit to feed every few seconds, but in your case it sounds like it is continuing to do this after the start-up cycle. Here are a couple videos covering the diagnostics and program set up for the St Croix board. It does appear you have tried everything and are still experiencing an overfeed which would indicate an issue internally with your control board. Thanks for the advice. I was afraid that it might be the control board. This will be the second one that I’ve had to put in this stove. I ordered one from your site and will report back after I get the new one installed. My next problem is finding a source for pellets! All of our local suppliers are out right now. Hello, I have an older model St. Croix with the analog control board. The stove will load pellets normally sometimes, and other times the auger will run constantly and overfill the pot. The stove has been cleaned thoroughly. I have removed the control board and tested the two triacs with a multimeter. They seem to be ok. What other components on the circuit board control the auger? Or should I be testing a different part perhaps? Thanks for contacting us, happy to help. If you are physically viewing the auger motor running constantly/non-stop on occasion then it has to be something with the control/circuit board. Sometimes it can appear the auger is running constantly/overfeeding if there is an issue with ash blockage, gasket air leaks, blocked intake air, or a weak combustion blower. If you have physically watched that auger turning non-stop, again would be a board issue. Unfortunately we do not have control board schematics or the ability to fix control boards. St Croix now offers a retrofit kit as they no longer make the analog boards. We do stock all the retrofit kits and guarantee the best prices. Would just need to know your model and serial number to direct you to the correct control board kit for your stove. I have an Auburn model that has tripped the fuse panel circuit breaker twice in two days now. It has been working just fine until now. We burn pellets and just switched to a brand that are larger so I am not sure if the auger jamming would trip the breaker? Actually put it on a different circuit breaker after the first time to eliminate the outlet or something but still tripped. Suggestions? Thanks for contacting us, happy to help. An auger jam would not trip the breaker. I would first suggest just getting a good light and inspecting all wiring in the unit. Make sure there are no exposed wires or any wire that is grounding out creating a short. If everything looks good there and your still experiencing the issue, we would then want to look closer at the motors – Potentially one of the motors is surging causing the trip. Check all the basics and simple things first.